If you have found varicose veins anywhere on your body, there's a good chance they are on your legs. It's the most common place where they are bound to show up. You've tried using lotions that are good for your skin. You have been drinking more water and cut back on salt. You have tried going on walks every day. You put your feet on the couch to elevate them when you get home from work. You wear the compression stockings your doctor recommended. Your varicose veins haven't improved. You don't know what to do about them. You also want to know why they have showed up on your legs of all places. Vein doctor Mohammed Islam from the Metro Vein Centers in Michigan offers you expert advice about the problem veins on your legs. What Can Put You at Greater Risk of Developing Varicose Veins? Varicose veins often affect women who are pregnant as more of a burden is placed on their legs on a daily basis. People with heart problems are prone to develop varicose veins. Being overweight can place more of a strain on your veins as well. If you are on your feet for long hours or you have to sit for a considerable amount of time, you could be setting yourself up for problems with your veins. Why Do People Often Find Varicose Veins on Their Legs? The veins in your legs are put under more pressure than any other veins in your body. You're dealing with an uphill battle. Gravity is pulling at the blood in your veins, drawing it in the opposite direction from the way it is supposed to go. The weight of your body adds an additional burden on your veins. All of the forces working against your blood flowing to your heart can be too much. The valves in your veins are more likely to be faulty. As a result, they fail to close. Some of the blood heads backward and collects. It makes your veins swell in your legs. As they swell, they can become painful. Your legs may become red. Rashes are common, especially near your ankles. In some cases, bleeding can occur from varicose veins. Your legs may become discolored. There's no reason to live with such potential problems. Finding an effective solution begins with choosing your vein doctor. Vein doctor Mohammed Islam of Michigan's Metro Vein Centers is highly experienced. He's practiced vascular surgery for nearly three decades. He believes it is more beneficial to patients to perform outpatient procedures. A selection of options can be completed in an hour or less, allowing you to get on with your life. When you place yourself in the hands of a doctor who understands the best way to treat your varicose veins, you will be well on your way to improving the condition of your legs. You may find that minimally invasive procedures, such as sclerotherapy, radiofrequency ablation, or endovenous laser ablation could work for you. 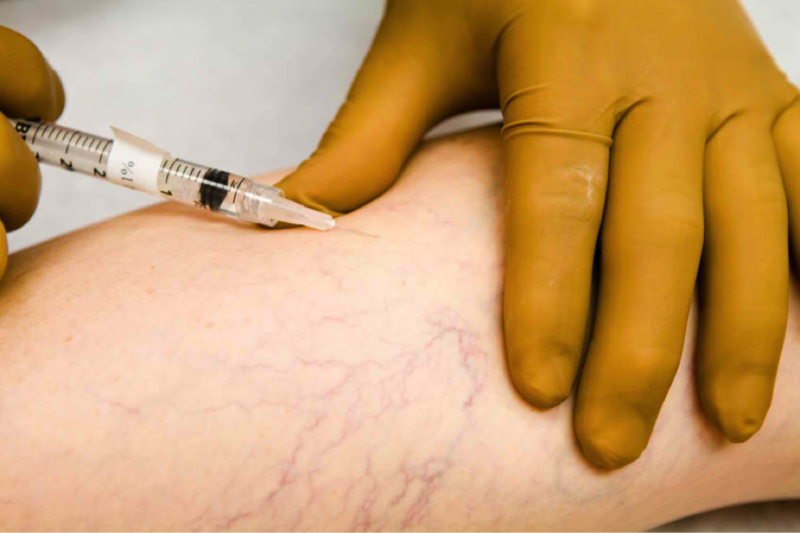 Metro Vein Clinics brings you some of the best when it comes to doctors who understand varicose veins. You can choose from one of four locations, including New York, New Jersey, Michigan, and Texas. Find out how the latest innovations involving vascular and venous procedures can benefit you. Begin with making an appointment for an evaluation. From that point, you can move forward with a treatment alternative that will allow you to say goodbye to varicose veins.